Mazda Motor Corporation has announced that global production of its three full-Skyactiv vehicles - Mazda CX-5, Mazda6 (known as Atenza in Japan) and Mazda3 (Axela in Japan) has surpassed one-million units, reaching 1,040,000 units as of the end of March 2014. 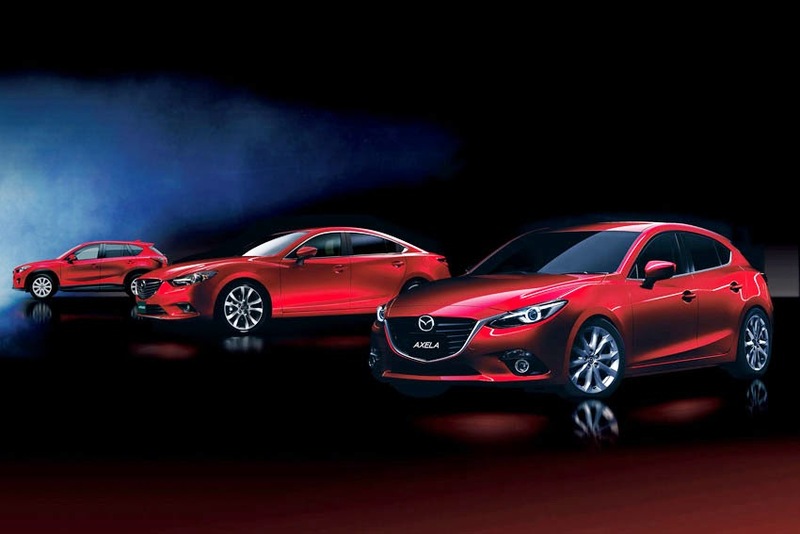 All three models adopt the full range of Mazda's Skyactiv technologies. The milestone was achieved approximately two years and four months after production of the Mazda CX-5 began in November 2011. "At Mazda we put everything into developing our Skyactiv vehicles, and it is because these models have struck a chord with a wide range of customers all over the world that we have reached the one million-unit landmark. On behalf of Mazda, let me express my gratitude to each and every person who bought one of our cars. With our undying challenging spirit and a great deal of hard work, Mazda will continue to make even more appealing cars that will enrich the lives of their owners, and help us build a strong and lasting bond with our customers," said Masamichi Kogai, Representative Director, President and CEO, Mazda.